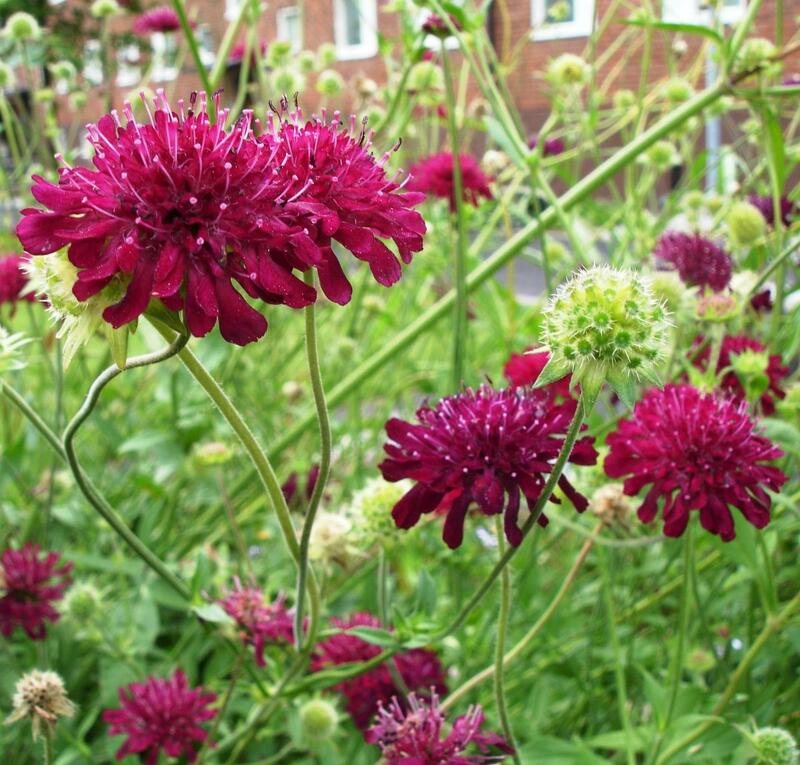 Knautia macedonica is one of our most sought after perennials, partly because its dark-crimson pompoms are strikingly beautiful, but also because the flowering season is longer than any other and is also so easy to grow. 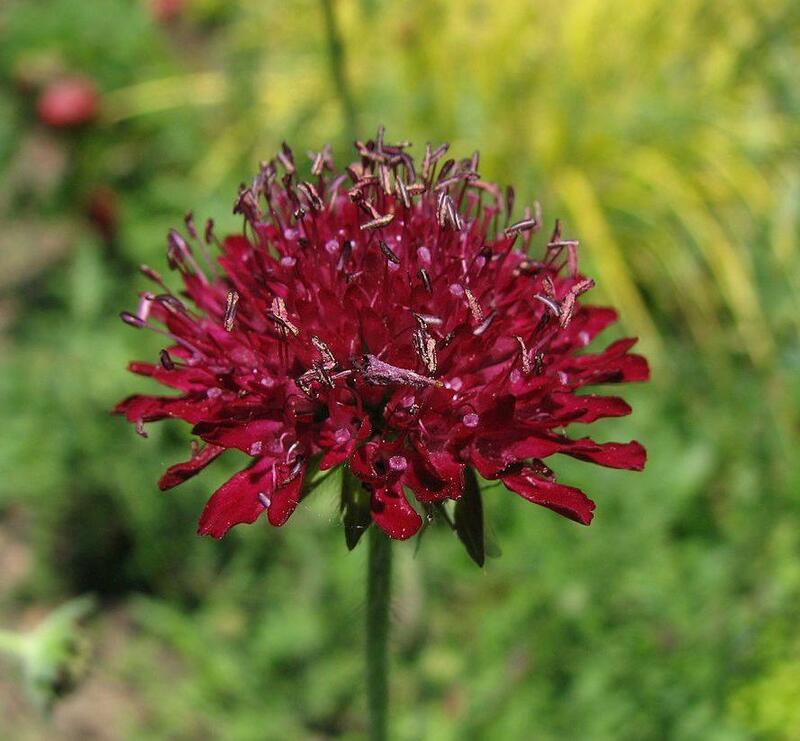 Knautia macedonica used to be known as Scabiosa rumelica. It is a member of the scabious family, Dipsacaceae, with a typical central dome of fertile florets, surrounded by an enlarging skirt of decorative petals that increase its impact. In the wild it grows among grasses and other perennials in meadows and in scrub. Knautia macedonica spreads out from a central rootstock into a broad, chalice-shaped bush, each shoot branching again and again to form a broad wiry network of stems. Every shoot and side-shoot terminates in a flower, of which established plants produce literally hundreds in a season. Individual florets last no longer than a week or so before turning into spherical seed-heads, but more appear to replace them as if by magic. In most cases, gardening experts advocate dead-heading to prolong summer flowering. However, in the case of Knautia macedonica this is both unnecessary and unwise. The seed heads actually enhance the look of it and provide food for birds. 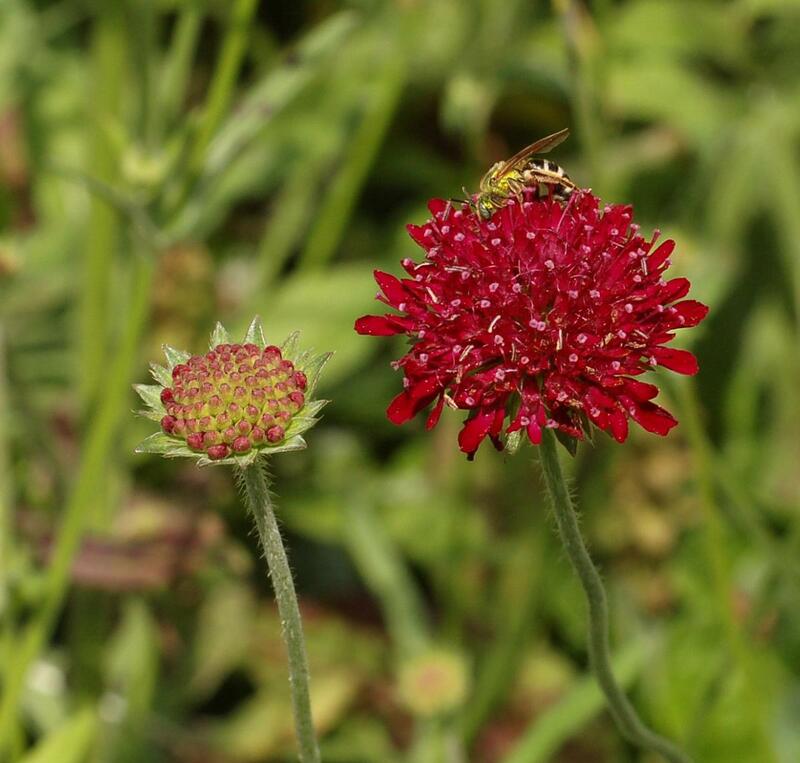 In common with all scabious, this is an important wildlife plant,providing nectar for hoverflies, bees and butterflies.